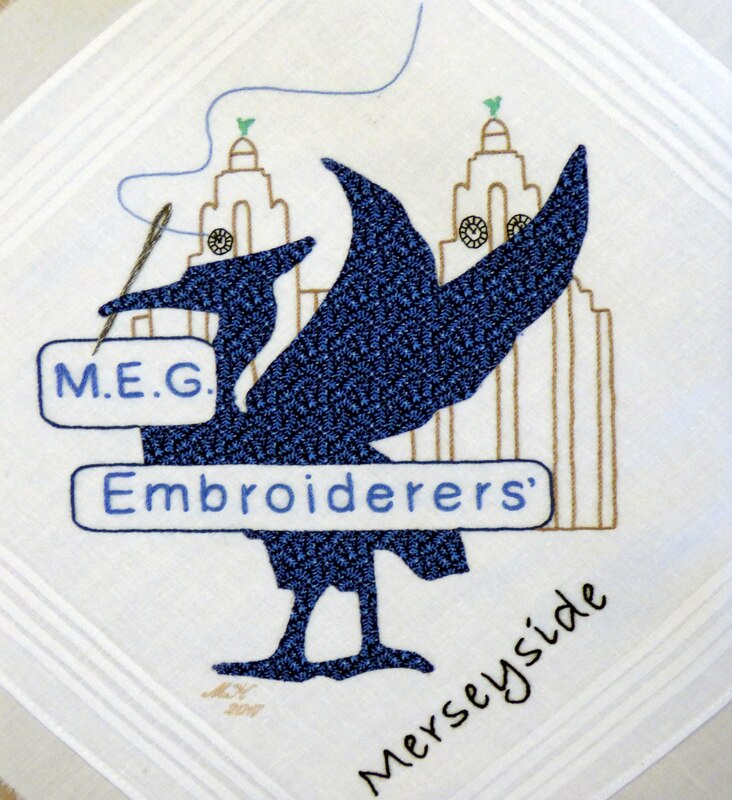 At the beginning of 2017 all the branches in NW Region were asked , by the NW Regional Chair, to embroider an image to represent our branch on a cotton handkerchief square. This was to be used to make a tablecloth to be used at NW Region meetings. We asked our members if anyone would like to undertake this task and Michele kindly came forward to offer her assistance. Michele embroidered the MEG logo on the square, and the result was just perfect! 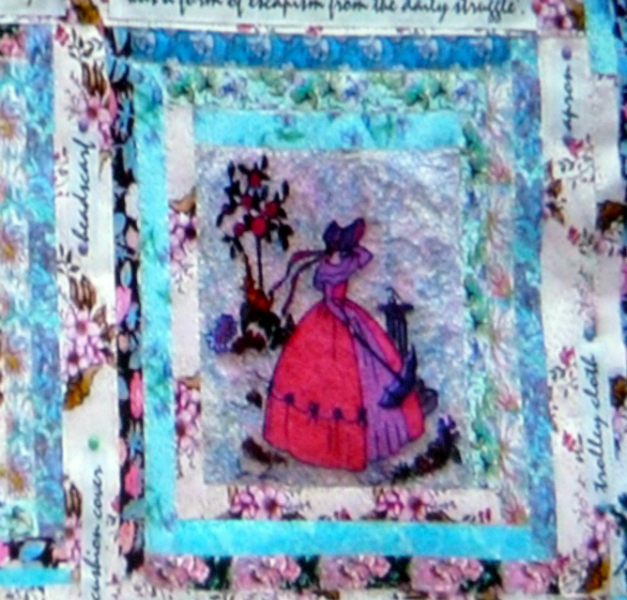 She used appliqué and hand stitching. 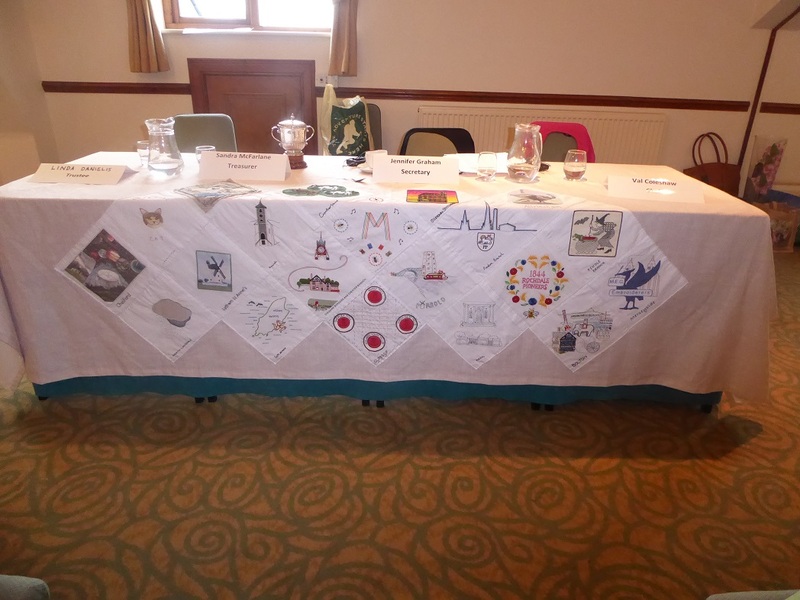 The tablecloth was completed and was first used at the 2017 NW Regional AGM.